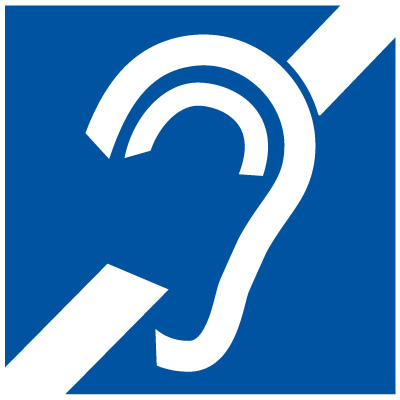 Unfortunately, there are no facilities for hearing impaired delegates. There's wheelchair access throughout the venue, should you require a wheelchair, please visit the CTICC reception. 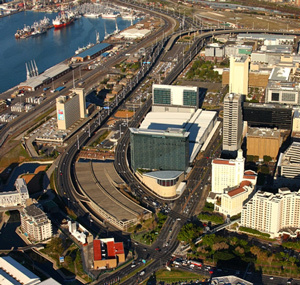 Parking at the CTICC is never a problem, with over 1 400 secure, easily accessible on-site parking bays available to visitors. 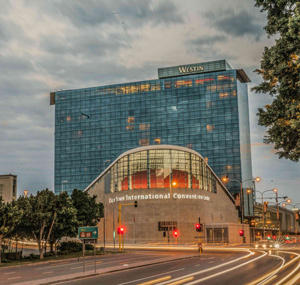 The 1061 bays on P1 are accessed via the Buitengracht or Walter Sisulu Avenue/Long Street entrance and require a short walk across Convention Square to enter the CTICC. The 362 bays on P3 are situated in the CTICC basement. Parking is not included in the venue rental, and guests are required to use the convenient pay-on-foot parking ticket kiosks to pay for their parking on an hourly basis. Alternatively, event organisers can organise to pre-book parking for their guest by prior arrangement. These pre-booked parking tickets can be bought at a price of R45 per guest, per day. Perfectly positioned in Cape Town's bustling foreshore, the CTICC is only a short distance from a number of exciting attractions and amenities – from iconic Table Mountain and the thriving V&A Waterfront right on its doorstep, to popular destinations such as Kirstenbosch Botanical Gardens, the Winelands, and Cape Point within an hour's travel. Choose from a variety of pre-and post-convention attractions, or approach one of the many professional and experienced destination management companies to customise your perfect Cape Town experience. While you'll find there is always something new and unique waiting for you to discover, just around the corner, no visit to Cape Town would be complete without experiencing at least a few of the following top attractions. Set against the majestic backdrop of Table Mountain, the V & A Waterfront in the heart of a working harbour, is Cape Town's premier shopping tourist destination and entertainment hotspot. Here, history and heritage fuses with modern convenience, to provide a uniquely magical dockside experience. A short, pleasant ferry ride from Cape Town harbour lies one of the most well-known prison islands in the world. It's fascinating history includes being used as a penal settlement, leper colony, and lunatic asylum – and most famously for having held Nelson Mandela during the apartheid era. A world heritage site, Cape Town's famous landmark is even bigger in stature than its 1086 m summit. Enjoy lunch from the top or visit the souvenir shop after riding up in the new revolving cable car. The mountain also offers a myriad of enchanting walks featuring everything from wild flowers, indigenous plants and its famous silver trees. On the eastern slopes of Table Mountain sprawls Kirstenbosch - widely considered to be the most beautiful public gardens on earth. Home to more than 8 600 indigenous plant species, some 5 800 of which are found nowhere else in the world, Kirstenbosch's splendorous beauty shows why Cape Town counts as one of the six Floral Kingdoms of the world. Nestled amidst rolling, picturesque valleys featuring Cape Dutch homesteads, the winelands of the Cape have been described as the most beautiful and scenic in the world. Today, the Cape's vineyards produce an extensive variety of cultivars that are blended and matured to create award-winning red and white wines that have earned their place amongst the world's best. Marking the southern extremity of the Cape Peninsula where the Indian and Atlantic Ocean meet, it's not hard to imagine that Cape Point offers views that are unrivalled anywhere in the world. Enjoy a meal at the renowned Two Oceans restaurant, take a ride on the funicular railway or pick out a curio at one of the shops – there's something for everyone to enjoy.